In light of Minister Harper’s announcement yesterday on Bill C-32 , the Canadian victim’s bill of rights, the Disabled Women’s Network of Canada (DAWN-RAFH Canada) is releasing recommendations it developed for submission to the Department of Justice’s public consultation with organizations that represent victims of crime. These recommendations aim to support the needs of victims of crime with disabilities and victims of crime who are Deaf and they are now being released in time for National Victims of Crime Awareness Week from April 6-12, 2014. Below is an excerpt of the recommendations put forward by DAWN-RAFH Canada and the entire document can be accessed at the link at the bottom of the page. We have opted to use the framework put forward by the Office of the Federal Ombudsman for Victims of Crime (OFOVC) to provide the DisAbled Women’s Network of Canada-Réseau d’Action des Femmes Handicapées Canada (DAWN-RAFH Canada) recommendations for inclusion in the Department of Justice Canada’s development of a Victims Bill of Rights. The following outlines DAWN-RAFH Canada’s recommendations under the three categories of: Informing Victims, Considering and Protecting Victims, and Supporting Victims. The recommendations are based on years of work done by disability activists/leaders who have been fighting to ensure greater protections of the rights of victims within the context of a human rights framework. This work places an emphasis on seeing the person first and not the disability. Thus the starting point is to recognize that in this context, the person with a disability is a victim first – who might need differential types of supports to ensure that their rights are protected yet has the same needs as all victims. While DAWN-RAFH Canada’s recommendations are a crucial and important step in the development of a Victims Bill of Rights, we know that there remains much more work to be done in ensuring that victims with disabilities and Deaf victims have equal and appropriate access to the justice system. DAWN-RAFH Canada and their partners, particularly the Canadian Association for Community Living (CACL), have been developing a comprehensive plan of action wherein information, resources and strategies can be developed and implemented that will equip both the justice system and people with disabilities to both prevent and better respond to the needs of victims with disabilities. People with disabilities and Deaf people face alarming rates of abuse and violence. The nature of abuse against people with disabilities and Deaf people differs from the non-disabled population because of sustained socio-economic exclusion and a significant lack of appropriate and accessible supports and services. People with disabilities, especially men and women with intellectual disabilities, traumatic brain injuries, and psychosocial and cognitive disabilities, are particularly vulnerable to physical and sexual abuse. Moreover, they face systemic discrimination in addressing their victimization because they are often deemed to lack credibility in the justice system. While the Victims of Crime Bill refers to victims who have reported instances of crime, there are numerous barriers that prevent people with disabilities and Deaf people who are experiencing victimization from disclosing and reporting abuse and violence. Such barriers to disclosure include; a lack of awareness that what they are experiencing is abuse; a dependency on their abuser for primary care and financial support; communication barriers; lack of accessible information about appropriate services available to them; lack of information about their rights and options; lack of accessible and disability sensitive services that meet their needs; and fear of law enforcement authorities.1 Furthermore, while victims with disabilities may take steps to disclose their experiences of victimization, oftentimes they depend on intermediaries (such as a support person),who, while not qualified to do so, may end up being the ones to determine whether or not the crime will in fact be reported to law enforcement officials. If a victim does get to the stage of reporting the crime, they face the most significant barrier faced by victims with disabilities – not being believed when a crime is committed against them and/or not being seen as credible, again this is an issue that is particularly acute for victims who have an intellectual disability or other mental, cognitive- based disabilities. If people with disabilities and Deaf people who are victims of crime do indeed make it to the court stage, their capacity to tell the truth and/or understand the process is questioned; they often are not viewed as credible witnesses and face a marked lack of accommodations and supports in the court process. To ensure that people with disabilities do not experience further victimization when entering the criminal justice system, they need to be supported in exercising their full legal capacity. Per the Supreme Court of Canada’s ruling in the case of R. v. D.A.I., victims of crime with mental disabilities shall be allowed to testify in court on their own behalf. According to the ruling, an adult victim with a mental disability must be able to 1) communicate the evidence and 2) promise to tell the truth; a plain reading of the law that allows for victims of crime with mental disabilities to testify on their own behalf. 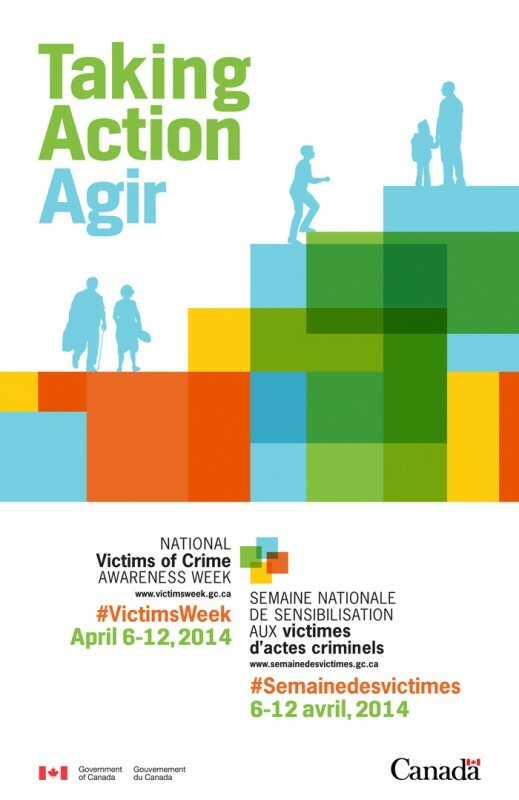 The Disabled Women’ s Network of Canada will be launching a campaign for National Victims of Crime Awareness Week from April 6-12, 2014 . Visit our website, Facebook and Twitter to stay updated on upcoming events!